Bellevue Literary Press, 9781934137048, 320pp. Founded just six years ago, Bellevue Literary Review is already widely recognized as a rare forum for emerging and celebrated writers--among them Julia Alvarez, Raphael Campo, Rick Moody, and Abraham Verghese--on issues of health and healing. Gathered here are poignant and prizewinning stories, essays, and poems, the voices of patients and those who care for them, which form the journal's remarkable dialogue on "humanity and the human experience." Danielle Ofri, MD, author of Incidental Findings and Singular Intimacies, is the editor in chief of Bellevue Literary Review. She lives in New York City. Danielle Ofri, MD, PhD, DLitt (Hon), is an attending physician in the medical clinic at Bellevue Hospital, and Assistant Professor of Medicine at New York University School of Medicine. She divides her time between seeing patients, teaching medical students and residents, editing and writing. 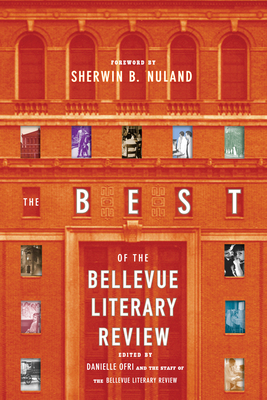 Dr. Ofri is the Editor-in-Chief and co-founder of the Bellevue Literary Review. Sherwin B. Nuland is Clinical Professor of Surgery at the Yale University School of Medicine and a Fellow at Yale's Institute for Social and Policy Studies. He is the author of a number of books, among them HOW WE LIVE, and HOW WE DIE, which won the National Book Award for Nonfiction.